Remove unwanted body hair for a clean, well-kept look. 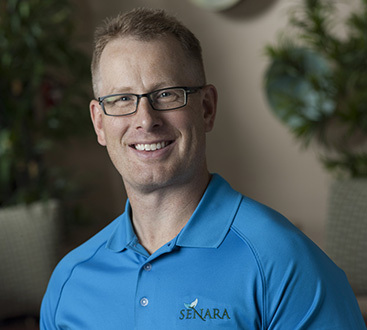 Senara Men’s Spa offers both waxing and laser hair removal services. Traditional waxing services offer a cleaned up look for a special occasion, trip, or event, with the flexibility to allow regrowth. Laser Hair Removal treatment offers permanent hair reduction in the target area, eliminating the need for routine waxing or shaving. Explore our service menu and call (309) 245-1995 to schedule today. Hair follicles are precisely targeted underneath the surface of the skin and destroyed using a combination of bi-polar radio frequency and light energies. Hair growth is reduced after each treatment. The number of treatments required will be based on your hair color, hair type, body area, and skin tone. Cooling of the skin surface, as well as constant measurement of the skin’s resistance, ensures safety and comfort during treatment. This is a no-downtime procedure. Many patients return to normal activities immediately after treatment.